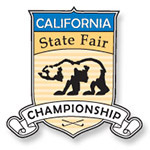 The Sacramento Golf Council presents the 22nd annual State Fair Senior Championship and 9th annual State Fair Super Senior Championship on Saturday and Sunday, September 1 and 2, 2018 at Mather Golf Course. The tournament is played at scratch and is open to male amateur golfers 55 and older with a current handicap index of 7.4 or less (Senior) and 65 and older with an index of 9.4 and less (Super Senior). The entry fee is $165 and includes two days of green fees, range balls and awards (power carts not included). The competition will be stroke play over 36 holes (18 holes each day). In the event of a tie for the championship title (Senior and Super Senior), there will be a playoff. The entry deadline is August 23, 2018.